The details of a horrific crash that claimed the life of a Wright man last night are now being released. Forty eight year old Joseph Lee Bailly died in the crash that shut down Highway 59 for several hours when his PT Cruiser was hit by a Chevy 2500. The incident happened at approximately 5:30 pm. The Chevy was southbound near Bishop Road and the highway shifts from four lanes to two in that area, the driver crossed the centerline and collided with Bailly who was northbound according to Undersheriff Quentin Reynolds. The scene was cleared and plowed as road conditions were slick with snow and ice. There is more to this accident in that it also involves a semitruck; that like the Chevy 2500 was also traveling south. The semitruck was traveling behind the Chevy and tried to go around the crash but instead ended up hitting the Chevy, losing control of the truck as it came off the road and arrived at a forced stop in a ditch on the east side of the highway. It is unclear according to initial reports if the drivers of both the Chevy as well as the semitruck were injured in the accident. Their names had not yet been reported to outlets. The wreckage wasn’t clear from the roadways until just past 8:30 last night. 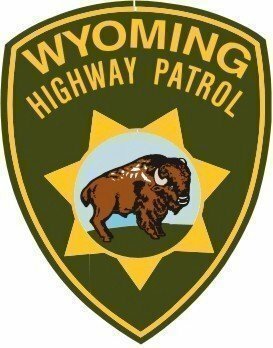 The Wyoming Highway Patrol has made updates available to this story on which we reported. Wednesday night’s fatal crash killed 48 year old Joseph Lee Bailly of Wright when he was traveling south near Bishop Road in a PT Cruiser. He was struck head on by a northbound traveling Ford Super Duty. That vehicle crossed the center line and collided head on with the PT Cruiser and Bailly- who was not wearing a seatbelt, died at the wreckage scene. Louisiana resident Frank Butler, also 48 years old did not bring his Ford to a stop even after the initial impact of the first collision. He only came to a stop when he hit a southbound Freightliner Conventional driven by Scott Duncan, who also was wearing a seatbelt. Butler is reported to have been driving too fast for road conditions which were disguised in black ice and freshly fallen wet snow. Neither Butler nor Duncan are reported with injuries of significance. As many residents know, Highway 59 between Gillette and Wright was shut down for several hours; approximately 3 hours. First responders cleared the accident scenes, debris and then treated the roads by plow and with sand to combat the treacherous conditions that had rapidly developed from a late afternoon drop in temps. The Wyoming Highway Patrol marks this deadly crash as the 11th fatality so far in the new year. By comparison last year on the calendar; 3.